Infants born weighing less than 2,500 grams (5.5 pounds) are considered low birth weight. Some low birth weight infants are born prematurely while others are born on-time, but weigh less than average. Having a low birth weight infant sometimes requires additional hospital care and special care at home. Before being discharged from the hospital the pediatrician will often give a care sheet covering the basic needs of an infant, but detailed care instructions for a low birth weight infant are not necessarily included. 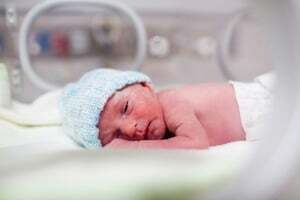 Specifics of hospital care for the low birth weight infant are determined by the reason for low birth weight, such as premature delivery or other health factors. If the infant is born premature, hospital care may start in the neonatal intensive care unit or NICU. 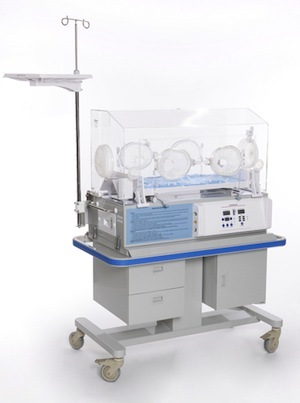 While in NICU, low birth weight infants are often kept in warming units to help regulate body temperature. Having less body weight means having less body fat and body fat is required to help regulate and maintain a healthy body temperature. There may also be wires connected to several places on the infant’s body. Don’t worry; these are typically wires leading to machines used to monitor things like blood oxygen saturation, heart rate, blood pressure, and body temperature. If there are other health problems associated with premature delivery, additional care may be required for several days to several months. After a low birth weight infant has been medically cleared, they will leave the NICU and go home with mom and dad. Experts say that only 20-percent of infants born as premature or with low birth weight are completely free of health problems for life. The remaining 80-percent of infants suffer some sort of long-term side effect of prematurity or low birth weight. Some of the possible health problems includecerebral palsy, impaired immune system, impaired lung function, learning disabilities and problems with behavior. Other premature and low birth weight infants have no health problems at all. Low birth weight infants eat, drink, sleep, laugh, cry and grow just like other infants, they are just smaller. Your pediatrician may talk with you about preventative health considerations like the flu vaccination and offering a higher calorie formula to increase weight to normal level sooner, but these recommendations are given on a case-by-case basis.